WHITE FANG | Lampara Publishing House, Inc. 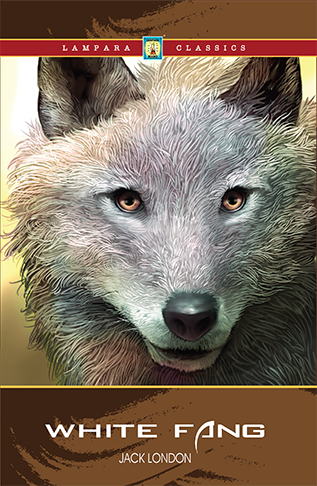 While living with the Indians, White Fang learns nothing about love, kindness, or affection. All he knows is power. He only learns to oppress the weak; he becomes smarter, slyer, more enduring, deadlier, and wilder than the rest. But when he lives with the two men he learns something new. He grows to be a calm, poised wolf who knows the law and he learns how it is to love and be loved by his master.